It doesn’t get any more southern than cheese grits and cheese grits don’t get anymore delicious than when topped with lots of crispy bacon. 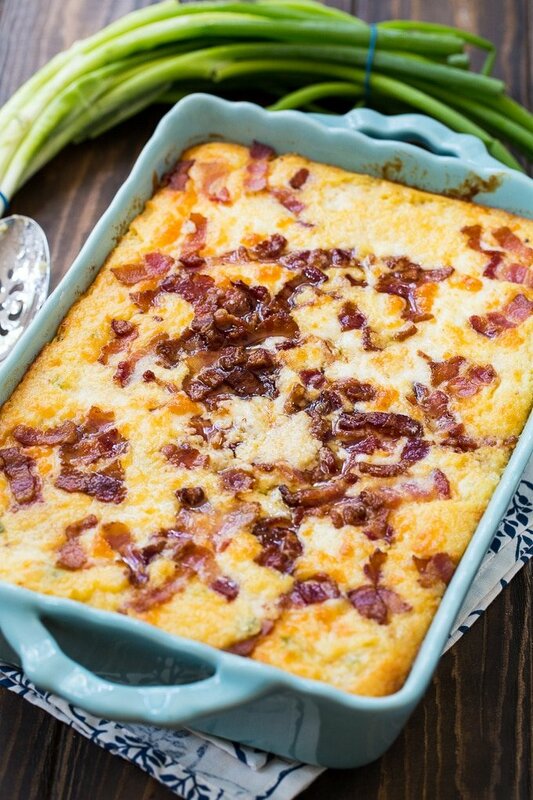 This Cheese and Bacon Grits Casserole is perfect for a holiday brunch, a down-home breakfast, or a weekday meal. This casserole has two types of cheese- white cheddar and Velveeta cheese for plenty of cheesy flavor. The Velveeta also makes the casserole super creamy. 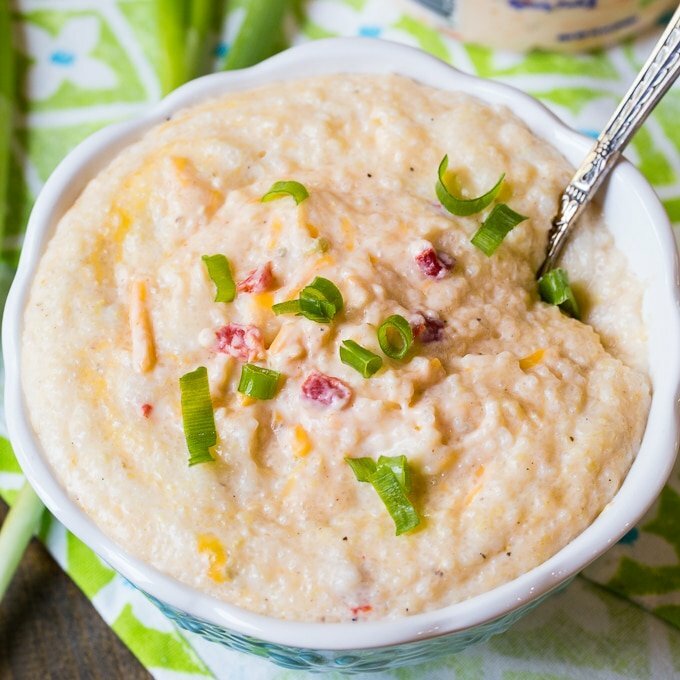 You’ll want to use quick cooking grits and NOT instant grits for this recipe. 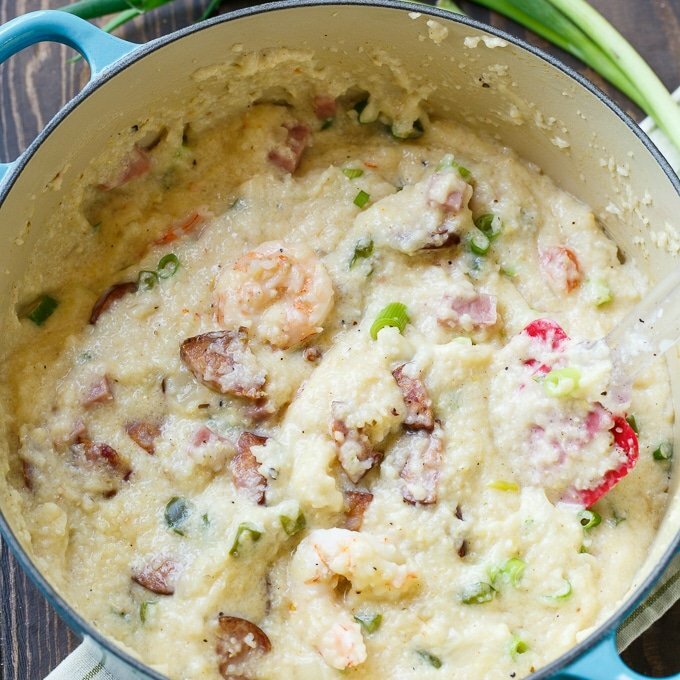 Scroll down beneath the recipe box to see more of my favorite grits recipes. 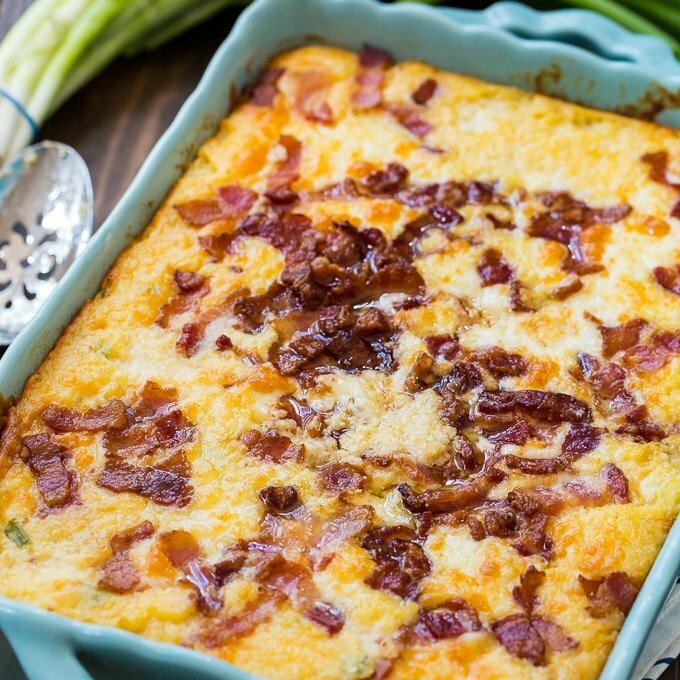 Cheese and Bacon Grits Casserole is fantastically creamy, buttery, and rich. It really can make a meal in and of itself but also makes a great addition to an extravagant brunch or holiday meal. This recipe makes a large amount so plan on serving it for a get together or on having leftovers. The leftovers actually heat up really well. 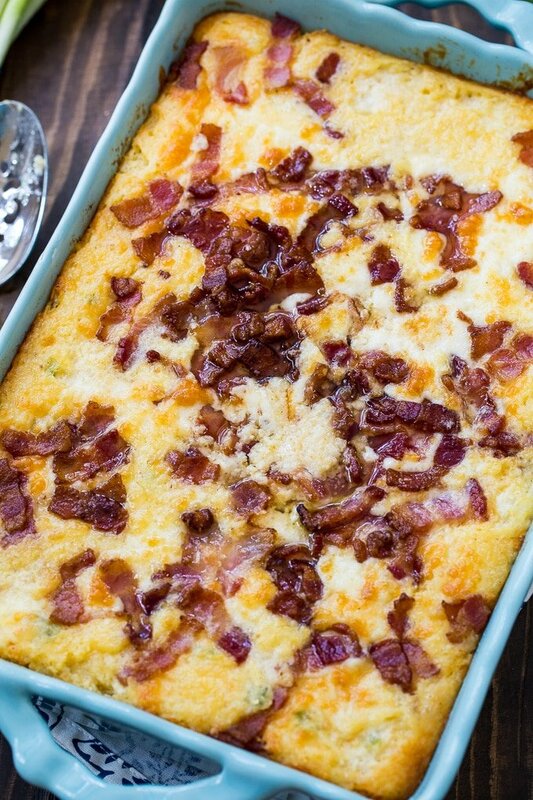 This Cheese and Bacon Grits Casserole is perfect for a holiday brunch, a down-home breakfast, or a weekday meal. Creamy and cheesy with lots of crispy bacon! Preheat oven to 350 degrees and grease a 9x13-inch casserole dish. Cook bacon until crispy in a large saucepan. Remove with a slotted spoon and place on a paper towel-lined plate. Pour out all but 2 tablespoons bacon grease. Add water, chicken broth, both peppers, salt, and garlic powder to the saucepan with the bacon grease. Bring to a boil. Gradually stir in grits. Reduce heat some and cook, stirring frequently for 5 minutes. Remove from heat and stir in Velveeta and butter until melted. Stir in milk, green onions, and eggs, plus half the white cheddar. Pour mixture into prepared pan. Sprinkle remaining shredded cheddar and the bacon on top. Bake uncovered 40 to 45 minutes. This entry was posted in Casseroles and tagged bacon, grits. Bookmark the permalink. This is one of the best grits casseroles I’ve had! Can this be made ahead of time, froze, thawed and then cooked? Thanks! I have never tried that Joy, so I’m not really sure how it would turn out.